Oh my god! 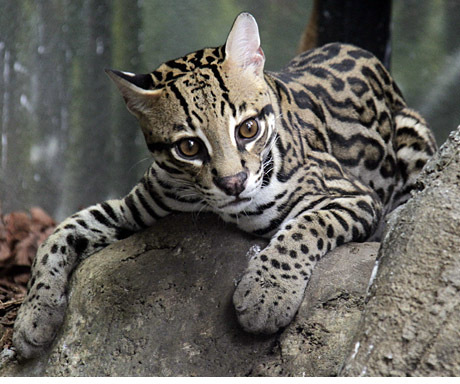 The Beardsley Zoo’s ocelot Ayla just moved to the Buffalo Zoo’s rainforest! That must be a picture of her new boyfriend hehe. Also, I will be going there soon to pick up some of those agouti babies and to visit my favorite kitty and see the amazing rainforest. I can’t wait now. Good to know that a former CPZ keeper works there too! This made me smile a lot. Thanks! Zoocation complete!! Where to next? What a fabulous vacation – a zoocation. Whenever I go on vacation I make it part of my trip to visit the zoo. Great job Judith!